Lebanon, in the Middle East, has been fought over many times, by Muslims and Christians. With both communities playing powerful roles in the nation today. Lebanon has been represented by flags influenced by both religions. 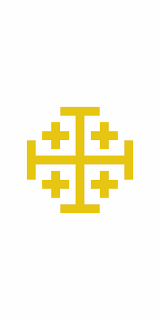 Such as the flag of the kingdom of Jerusalem, with a golden cross. 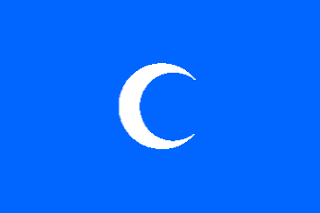 And later, a blue flag on which is a white crescent, from the Chehab Emirate. 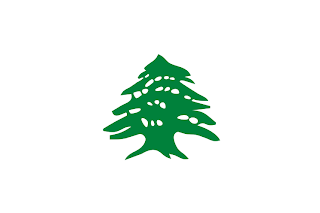 Then, from the mid-1800's, to the fall of the Ottoman Empire, a plain white flag, on which is a solid green representation of the Lebanese Cedar tree. Following the fall, Lebanon fell under the temporary governorship of the Arab Administration, before the beginning of France's stewardship. 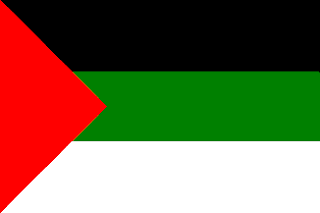 The flag used was the same as the pan-Arab flag. a tricolour of black, green, and white, with a red triangle abutted against the hoist of the flag. 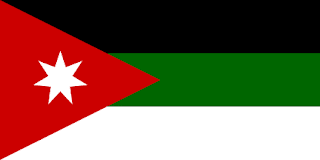 There was a slight change with the creation of the Kingdom of Syria, with a white star being placed in the triangle. The Kingdom of Syria only lasted from March, to July in 1920, before France took over.When the French mandate began, they brought in yet another flag. This time, copying from the flag of the Chehab Emirate, a blue flag on which was a less curved crescent. In the upper hoist of the flag, they placed the French tricolore. 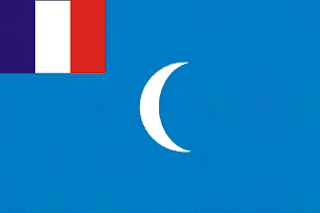 Once France had settled in to its new role, a new flag came in soon after. This time, taking the French tricolore, and placing the Lebanese Cedar tree in the central white stripe. Henri Pharaon, a member of the Lebanese parliament, has been credited as designing the country's flag. His selection of 3 stripes, red, white, and red, is said to have been inspired from his time as Lebanons consul in Austria, and his leadership role in the Austro-Lebanese Association of friendship. His design featured a wider central stripe than on the Austrian flag, and the Cedar tree is more life-like. 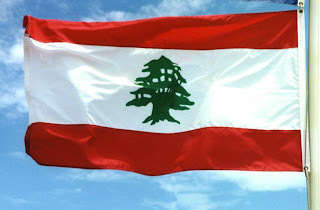 The Lebanese flag was chosen to be as secular as possible, with the red standing for the blood of the people, and the white representing purity. 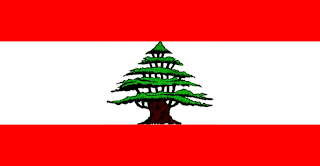 Whilst the colours of the flag have been around for a relatively short time, the Cedar tree has been a symbol for Lebanon for well over 2000 years, representing happiness, prosperity, and steadiness.